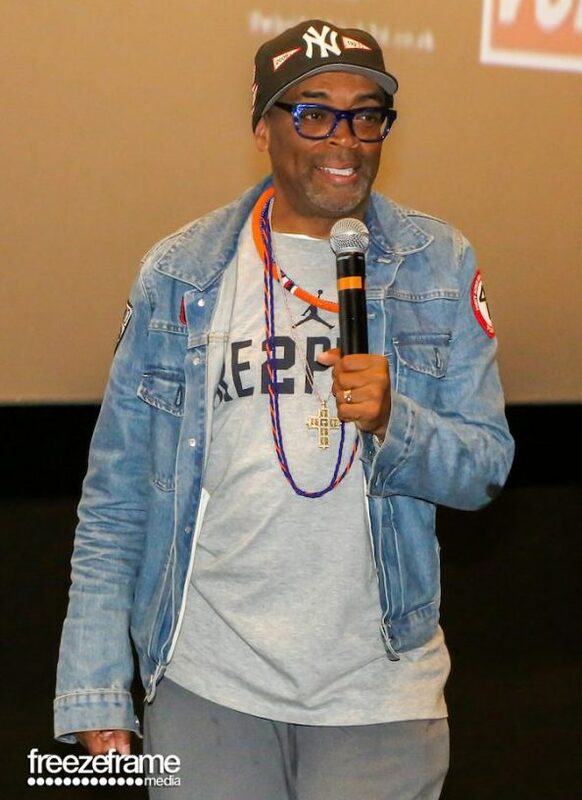 Last week, the legendary Spike Lee was in London and courtesy of cultural event producers We Are Parable and SceneTV were invited to a very special Q&A with the iconic filmmaker. The event was part of their ‘Spike is 60’ film festival, celebrating Lee’s landmark 60th birthday. Taking place at Picturehouse Central, there was definitely electricity in the air as guests arrived and waited to hear from Lee, the man behind classics such as She’s Gotta Have It, Do the Right Thing, Mo’ Better Blues, Jungle Fever, Malcolm X, Inside Man, Chi-Raq and more. His next project is Nexflix’s 10-episode contemporary adaptation of She’s Gotta Have It, which is due to drop on 23rd November. This was Lee’s first time speaking in London in 15 years. For any media outlet a ‘no recording’ policy would typically be a frustrating one, however we soon came to see that it was actually a great decision. The audience stayed engaged and 'in the moment'; you could hear a pin drop as guests hung off every word as Lee spoke about working with other legends such as Denzel Washington, the changing media landscape, the impact of politics, representation in television and film, the role of parents and the community and advice for people also pursuing careers in the industry. Another advantage was that Lee spoke so freely and candidly; it was as if he was speaking to a room of close friends, which made for a very intimate and special event. One of the best we’ve been to for sure. Who are We Are Parable and why was it set up? We Are Parable are Anthony and Teanne Andrews, a husband and wife team from East London. We were both disillusioned with how some events we attended were run. We felt that with our combined experience in Marketing (Anthony) and events (Teanne), we could have a go at producing events ourselves. For us, we always want to focus on events that focus on storytelling and collaboration with other organisations. What inspired you to create a film festival to celebrate Spike Lee's 60th birthday? 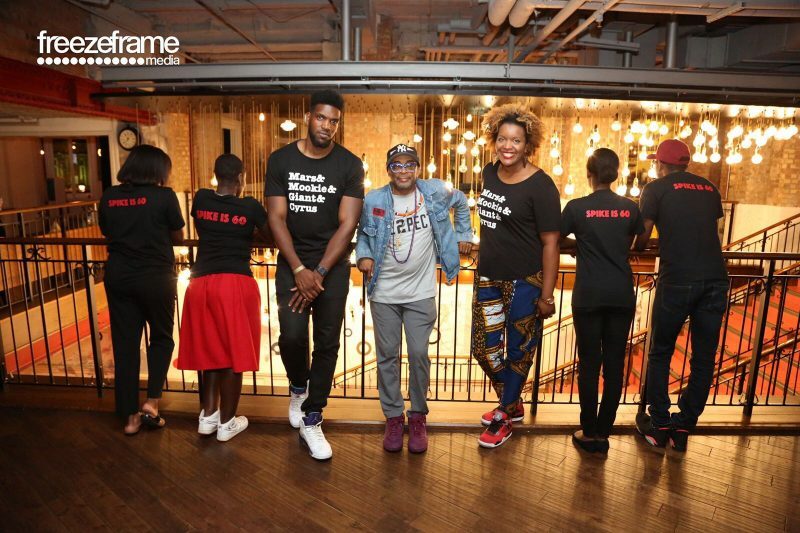 We did our first Spike Lee event in 2014 with an organisation called The NuBlk, which was a 25th anniversary of Do The Right Thing. We had an amazing block party after the screening, which really reflected the atmosphere of what late 80's New York must have felt like. After that event, which we enjoyed so much, we started to think that no one has done an extensive retrospective on Lee's work for a long time. I noted that his 60th birthday was, at the time, just under three years away, which gave us the time to secure funding, as well as marketing partners. The Spike is 60 festival was then launched earlier this year, and with events in London and Manchester throughout the year, it's the biggest project, we've ever worked on. The feedback has been incredible! It was the first time Lee has spoken in the U.K. publicly for years; how did that all come together? Well, it was always our vision to have the man himself appear in person, but in all honesty, it felt like a pipe dream. Instead, we thought that if we make him aware of the event via social media, then he might be able to acknowledge it. Things really came to a head when we were given the tip off that he would be in London. About a week before our event, he contacted us to say he wanted to collaborate with us, which was a massive moment in our career! What lessons can creatives can take from Spike Lee and his career and apply them to their own today? The main thing, I think, is to not seek validation from anyone or anything. The Oscars will tell you that Driving Miss Daisy is a better film than Do The Right Thing because it won Best Picture in 1989, but we all know Lee's film is a timeless classic that was so ahead of its time and no one watches Driving Miss Daisy! Another would be that if you're able to make money doing the thing you love, then you're doing better than 90% of the population, who hate their job. What's coming up next for We Are Parable? To find out more about We Are Parable and the Spike is 60 film festival, click here. Make sure you're at their next event on the 12th August; grab your tickets here.